1. The overture is just background music. It’s just there so that you don’t have to talk to your friends in a silent room while you wait for the show to start. Same applies to the Entr’acte. 2. Letting your phone ring during the performance just adds to the music and makes the show more dramatic. There’s nothing quite like the tension created when everyone starts looking for the ringing phone. 3. Leaving your phone on vibrate creates a really fun game of “where’s that coming from?” for the people sitting around you to play during the boring bits. Everyone will really appreciate your efforts to make the show more interesting. 4. In a musical or opera, the spoken dialogue isn’t part of the show. It’s a nice pause for you to have a cough, or chat to your friend. 5. Everyone in the theatre loves to know what all the other people think about the show, so you should keep a running commentary going to your friends. 6. It’s really important to let everyone know that you have the best possible sweets by buying the ones we the really rustly plastic and opening them up at the quietist possible moment. 7. Moving your head around all the time means the people behind you get to have a nice stretch and shuffle too as they readjust to make sure they can see. 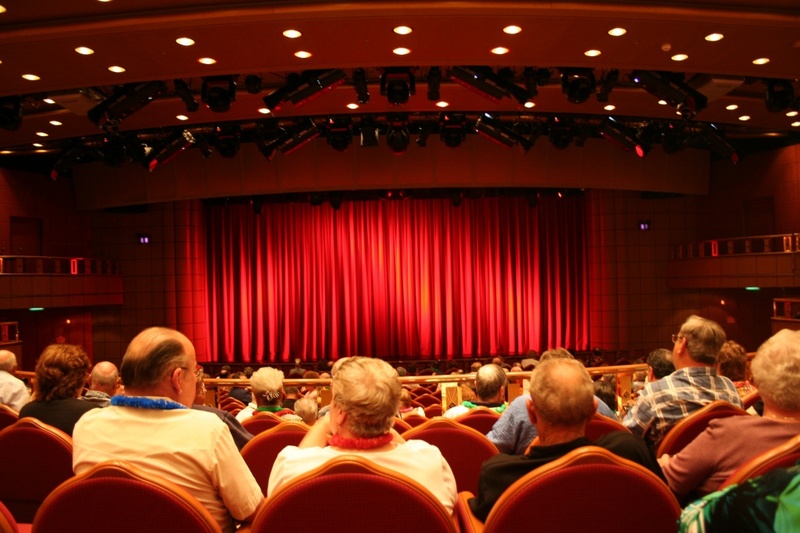 You should do this regularly to help your fellow theatre-goers stay healthy. 8. If you have a really bad cough, it’s much better to let it all out. It’s really uncomfortable to hold back a cough, and your neighbours will be really glad they caught your germs because they didn’t want to go to work tomorrow anyway. Listen to the overture and the entr’acte. Just because you can’t see the musicians doesn’t mean they don’t deserve respect. Plus, the composer has constructed it to give you a flavour of the music to come. Switch you phone off or to silent. Vibrate makes a really, really loud noise in a quiet room! If you need to cough, talk or rearrange your position, try to do this at the end of a scene while nothing is happening, or during the LOUDEST points of the music. If you’re coughing or sneezing so much you can’t do this, don’t go. Or at the very least, ask to switch seats to sit to the end of the row, so you can slip out to have a coughing fit and then sneak back in again. If you must bring snacks, bring sweets which are unwrapped and preferably, switch them into a box before coming so you don’t even have to rustle the bag. Remember, in the theatre, the actors are putting on a performance for you. Imagine if they were your sibling, parent or child – how would you want the audience to behave? Model that behaviour by being quiet and respectful during the show and applauding really loudly at the end. What are your real bug-bears at the theatre? And is there anything you’d add to the list of good ways to behave? This entry was posted in General and tagged how to, opera, theatre, tips & tricks on 20th March 2014 by .